Norm Breyfogle (1960 – 2018). 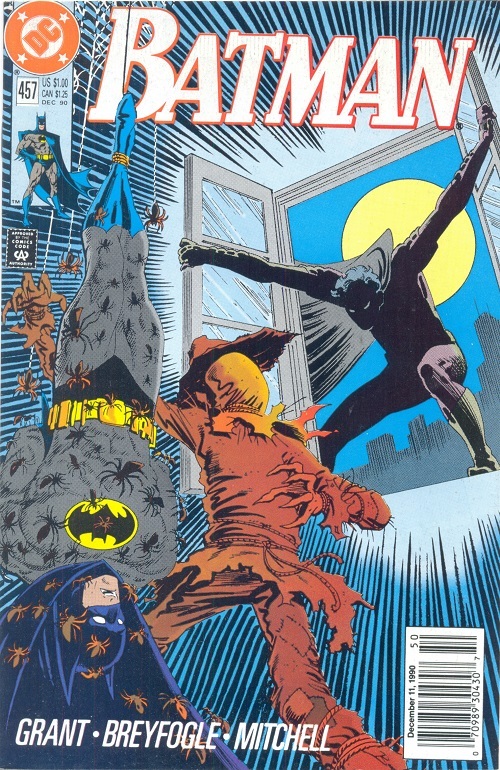 Still probably one of my favorite Batman covers. Just look at how striking that is. What a great artist Norm Breyfogle was. I had not yet heard. Oh no. I come here and see this and miss the headline and think it’s just talking about the awesome cover, then I read closer and see he died. Well, damn. He was indeed the Batman artist of his generation. That’s a shame. He would sometimes drop into the comic shop I frequented in the mid/late 80s. I always missed him, but everybody always said what a cool guy he was. Looking at his birth year, I’m almost shocked at how young he was when he was doing his great Batman work. To say nothing of how far-too-young he was when he died. I’m just rambling. I always loved his work.